This one is for the music connaisseurs!! 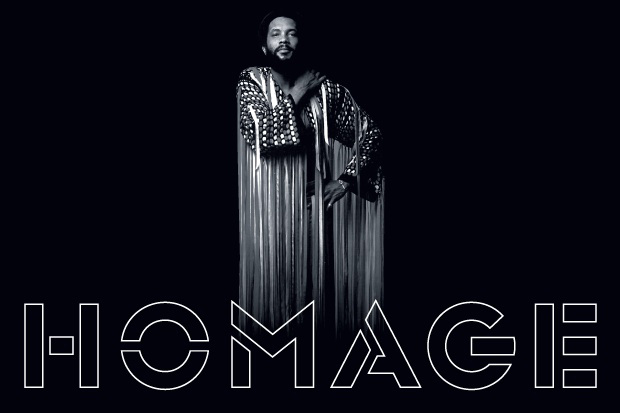 Hell yeah Strangefruitmusicblog allerting you on something soulful to ease into weekend mode!! A musical collab between two of my favourite personalities Mr. Nalden and Anthony Valadez. The first one known for picking an item and the other one known for picking a tune. 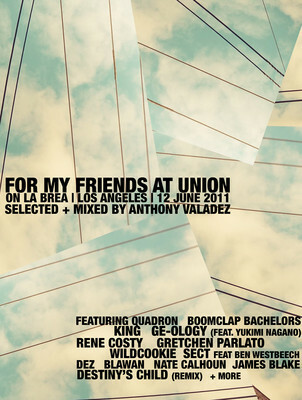 Nalden announced earlier today that this mix by Anthony Valadez is one in a string of many more to come. But at the moment I’m still blown away by this certified headnodder of a mix that has Anthony Valadez’ soulful flow all over it. So start streaming and headover to Nalden.net to download this gem. But a word of warning before you do … protect ya neck!! Strangefruitmusicblog presenting you with an awesome download provided by Anthony Valadez. Since I have no better words to describe this gem I’m going to serve you with the Carlos Niño description taken from Anthony’s Souncloud. Since it is an excellent description of what to expect I suggest y’all download this. if you press the arrow on the right side of the soundcloud music wave (you know…the small one underneath the info button) you can download this straight to your computer!! Gotta love the net…and especially Soundcloud. 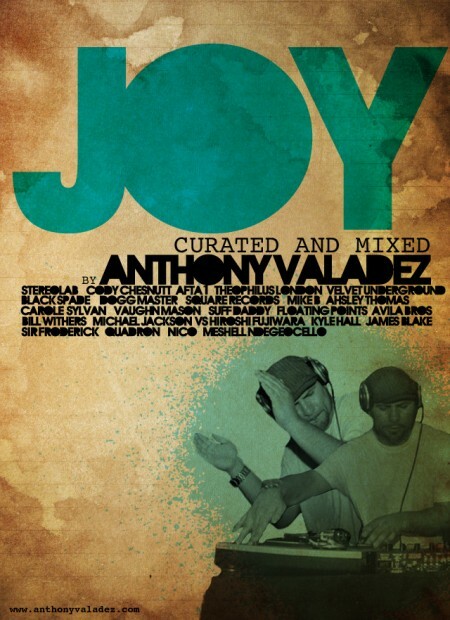 Cause if you know how to use Soundcloud features wisely..the Soundcloud weatherman drops a weekly update in your mailbox and provides you with stuff like…Anthony Valadez’ Joy remix….which is fit for a very laidback summer evening…Enjoy!! 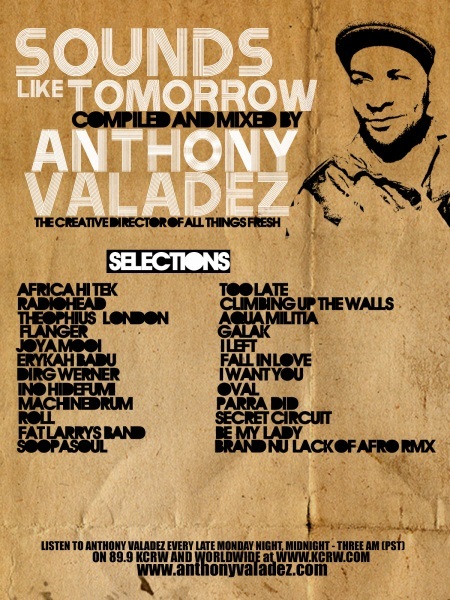 SOUNDS LIKE TOMORROW MIX Compiled and mixed by Anthony Valadez featuring soul, future soul and dub tracks. Including music from Africa Hi Tec, Radiohead, Joya Mooi, Erykah Badu and much much more. 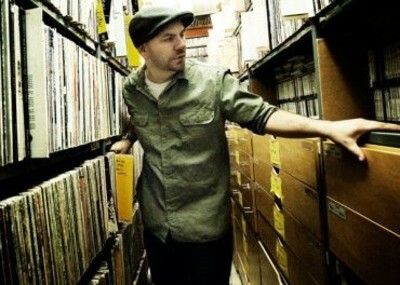 Anthony Valadez – Audio / Visual : Sounds Inspired By All Things Visual | Wax Poetics Digital.